Expecting this cake to taste like Mrs. Kelm’s Chocolate Cake or Mississippi Mud Cake made my first bite a little disappointing. It’s kind of like when you think you are about to take a sip of regular water and come to find out it’s actually sparkling water….you’re in for a shocker! It’s not because you don’t like sparkling water, it’s just you weren’t expecting it. 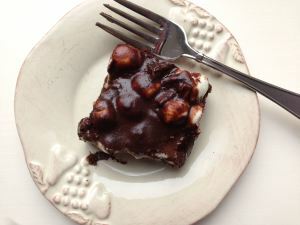 With that said, while this cake is not an overly sweet cake, the marshmallows, pecans and unsweetened chocolate make for a delicious rocky road treat. It’s a great make ahead cake for potlucks, tailgating or birthdays. 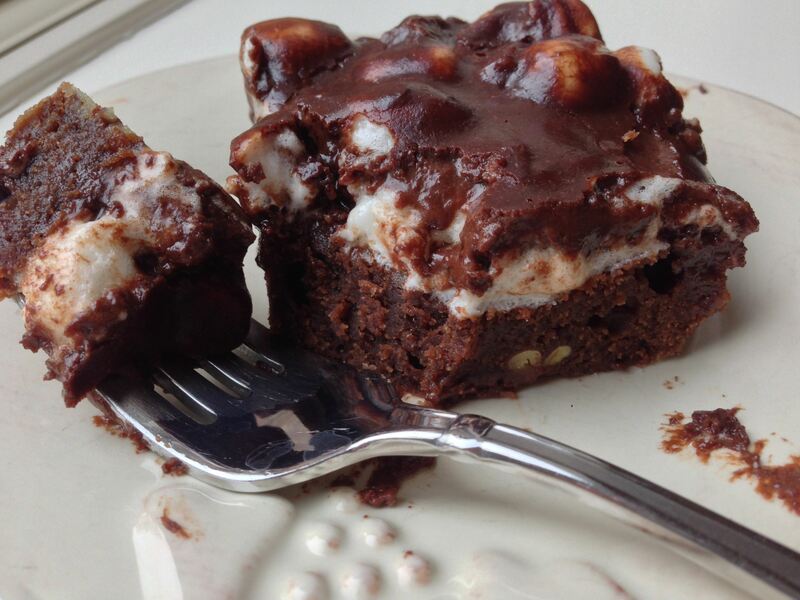 Plus, how much more gorgeous can a cake get? CAKE: Preheat oven to 350 degrees F. Lightly grease and flour an 11x7-inch pan. Combine the sugar, flour, and salt in a large bowl and stir to mix. Melt the butter in a small saucepan and stir in the cocoa until well blended. Remove from the heat, let cool slightly, and stir in the eggs and vanilla. Pour the butter mixture into the flour mixture and stir until well combined. Add the pecans and stir to mix. 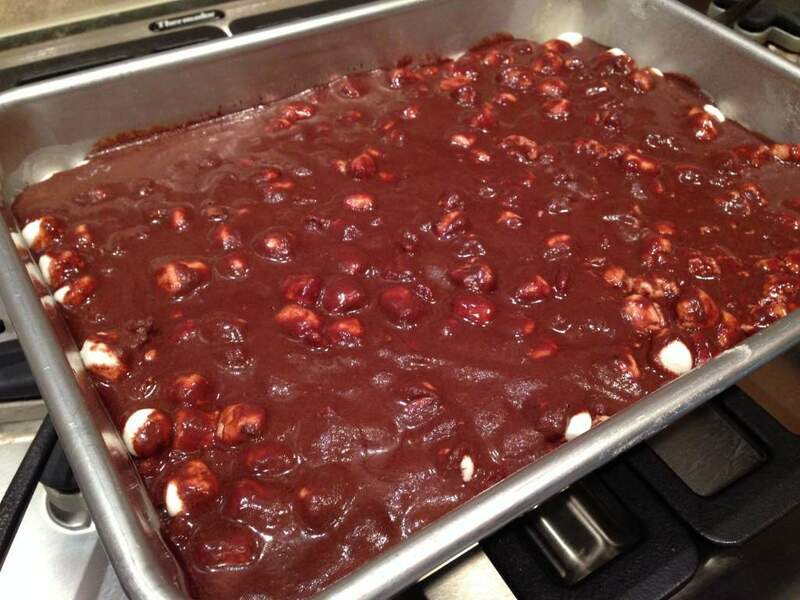 Spoon the batter into the prepared pan and spread evenly. Bake for 25 to 30 minutes, or until a wooden skewer inserted in the center comes out clean. Remove the cake from the oven, but do not turn the oven off. 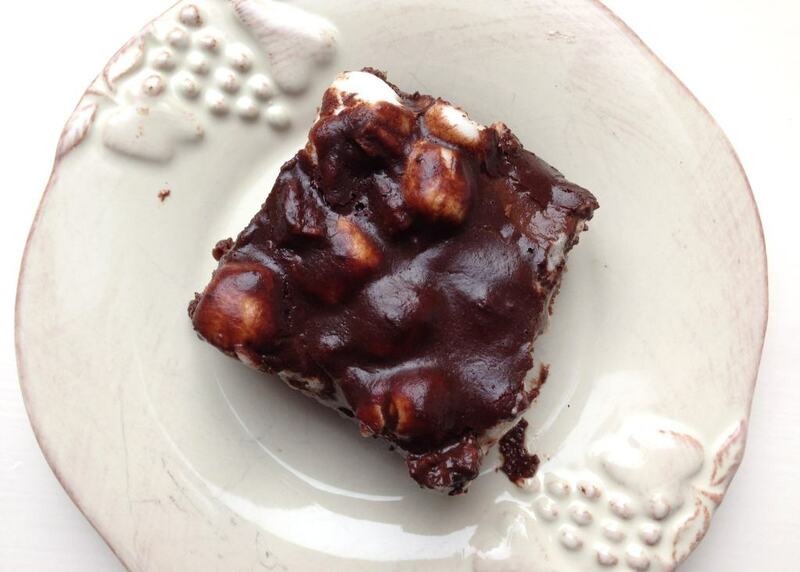 FROSTING: While the cake is baking, combine the cocoa, and confectioners' sugar in a large bowl and stir to mix. Add the melted butter, milk, and vanilla and stir until combined. 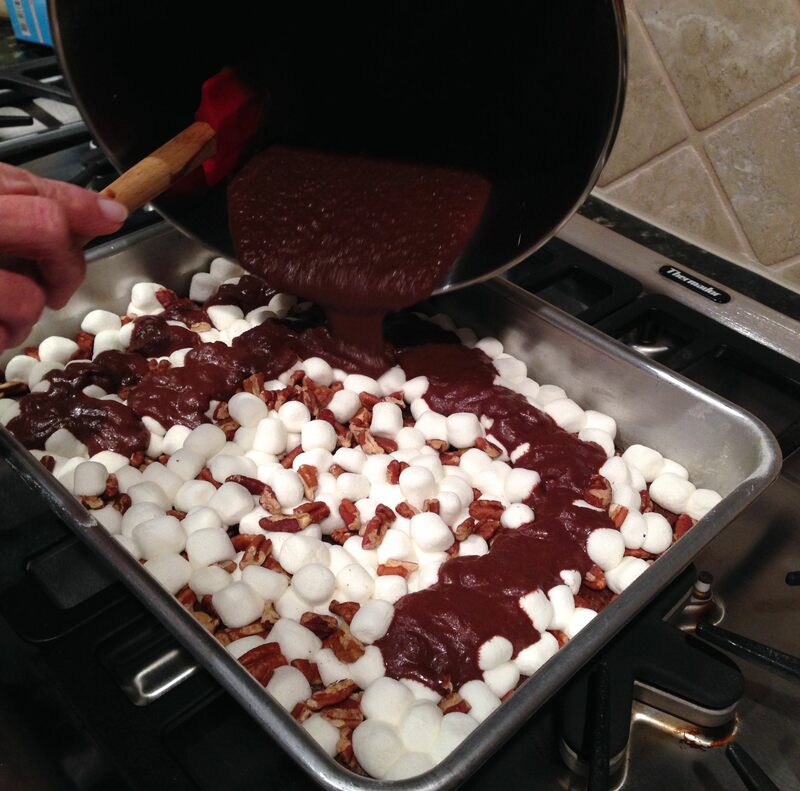 ASSEMBLY: Scatter the marshmallows and pecans over the cake and return to the oven for about 4 minutes, just until the marshmallows are softened and puffy. 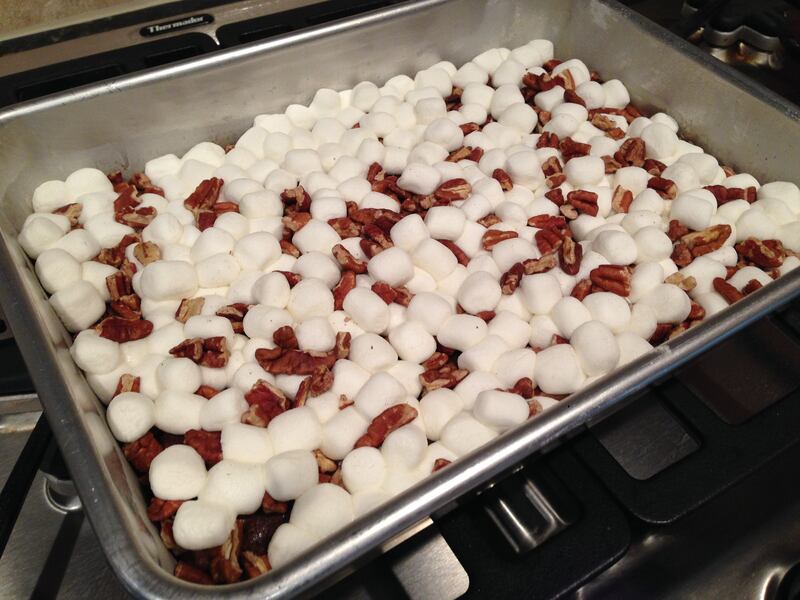 Remove from the oven and pour the frosting over the marshmallows and pecans to cover, while the cake is warm. Cool completely, cut into squares, and serve. Celebrating Mom's Birthday with a Hot Milk Sponge Cake!